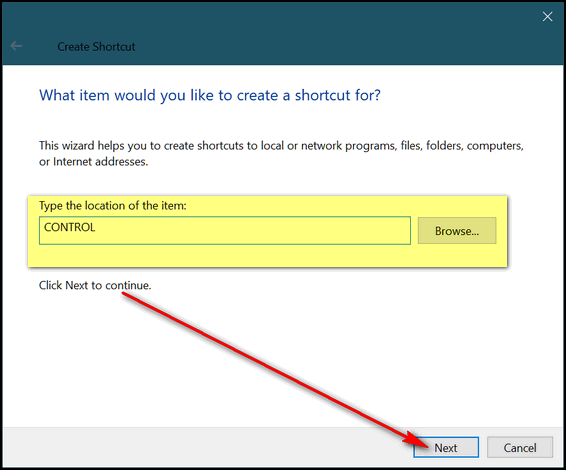 Microsoft is in the process of phasing out Windows Control Panel and replacing it with the modern “Settings:, but there are still many things that have yet to be migrated from Control Panel to Settings. Before the Creators Update, users were able to easily access Control Panel from the Windows Key + X menu (right-clicking the Windows 10 start button also brings up the Win Key+X menu). 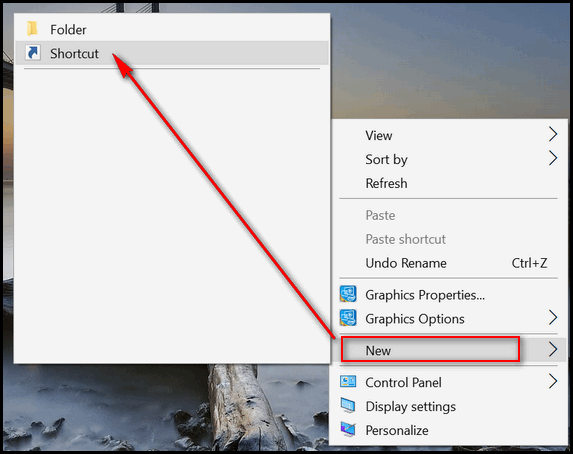 However, Windows 10 Creators Update (Windows 10 version 1703) deliberately hides all the shortcuts to Control Panel. Hide the shortcuts as they may, you’re probably still going to need to use Control Panel because Settings is not (yet) nearly as robust. 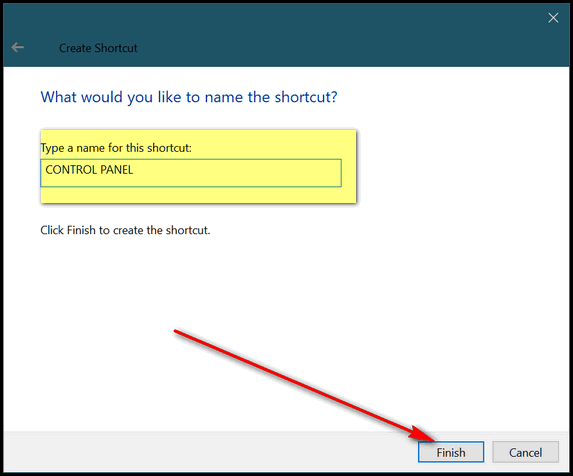 If you use Control Panel often, like we do, here are 3 easy ways of putting Control Panel shortcuts where you can quickly access them. #1. Hold down the Windows Key and tap the i key to open settings. #3. Under “Type the location of the item:” type CONTROL (uppercase or lowercase, it doesn’t matter) and click “Next”. #4. Under “Type a name for this shortcut:” type Control Panel or CONTROL PANEL or whatever you like. You can type Suzy Creamcheese if you want, as long as you remember this shortcut opens Control Panel. Don’t forget to click “Finish” or all your efforts will be in vain. Possibly the easiest tip ever! #1. Hold down the Windows Key and tap the R key. #3. When Control Panel opens, right-click its icon on the taskbar and choose “Pin to taskbar”. #4. When you close Control Panel, the shortcut remains. Hi, I have Windows 10 Creators Update ..Windows 10 version 1703 and Emsisoft , wonderful protection for the pc . 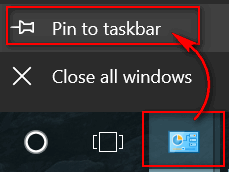 I tried to add control panel to the task bar, when I right clicked it, to “pin to task bar” it disappeared, and the other way of Method 1. I got the icon on my desktop but when I click on it, it opens, then the mouse cursor spins and the opened control panel disappears and then whole desktop flashes, that happens every time I try to open it. The icon stays on desktop but its not usable. Any suggestions? If Control Panel opens when you open a Run box and type CONTROL then the it should open with the desktop shortcut because it’s the same command. So, either there is something wrong with your computer and Control Panel is taking too long to open — or the shortcut wasn’t created correctly. As far as the taskbar icon disappearing even when you click Pin to Taskbar, I don’t have any ideas on why that happened. If it were me, I’d restart my computer and try again. After we do one or the other to get Contol Panel where we want it. What happens when they do a whole new download of windows again will it disappear and have to be saved again? The shortcuts will work as long as Control Panel is still part of Windows. I can’t imagine a scenario where a Windows Update would remove desktop shortcuts, but anything is possible. And who knows what Microsoft is going to do? The word right now is that they are going to migrate more and more of the Control Panel items to Settings. But even if the next major update does remove your shortcuts to Control Panel, you could still put them back on in a few minutes. With major updates running about 6 months apart, I wouldn’t worry about it.